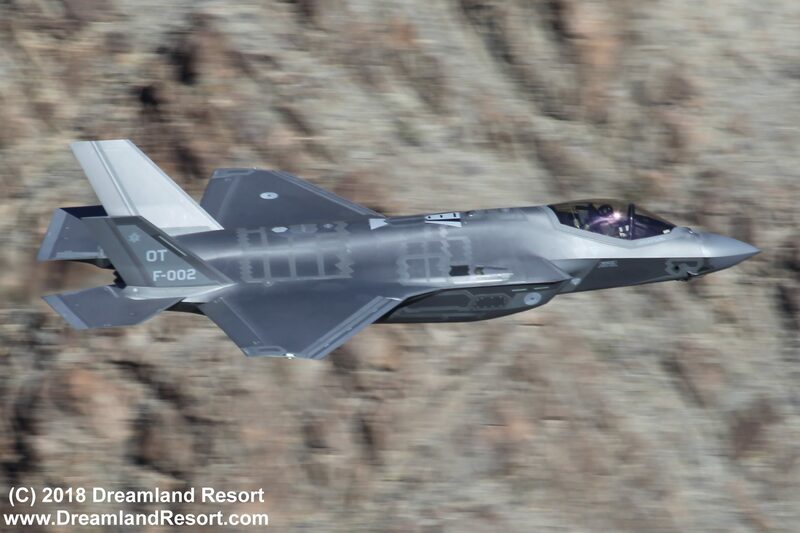 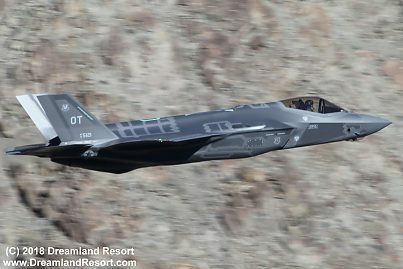 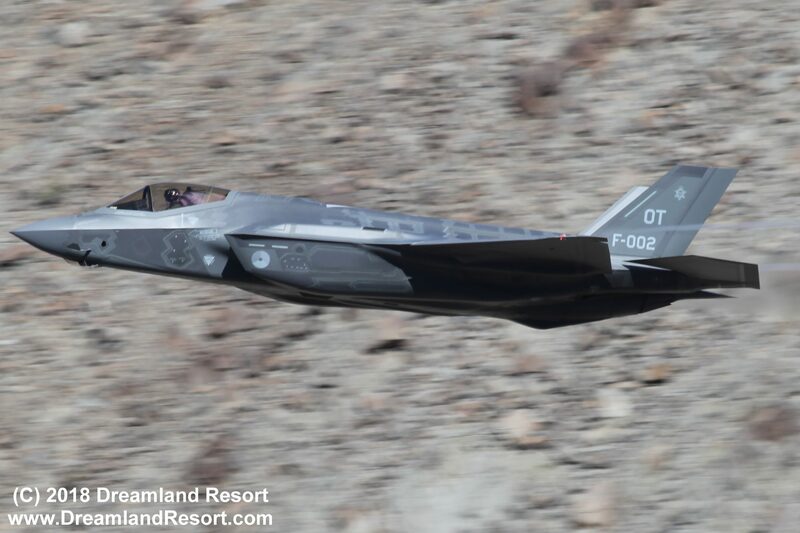 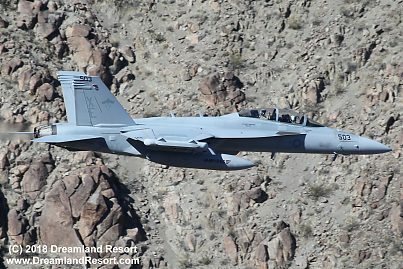 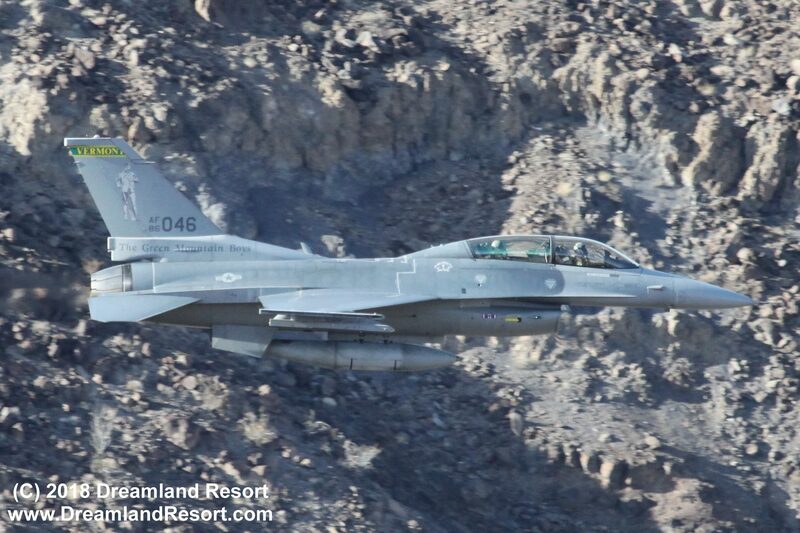 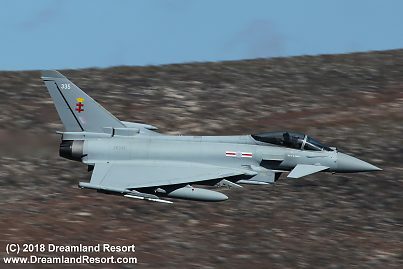 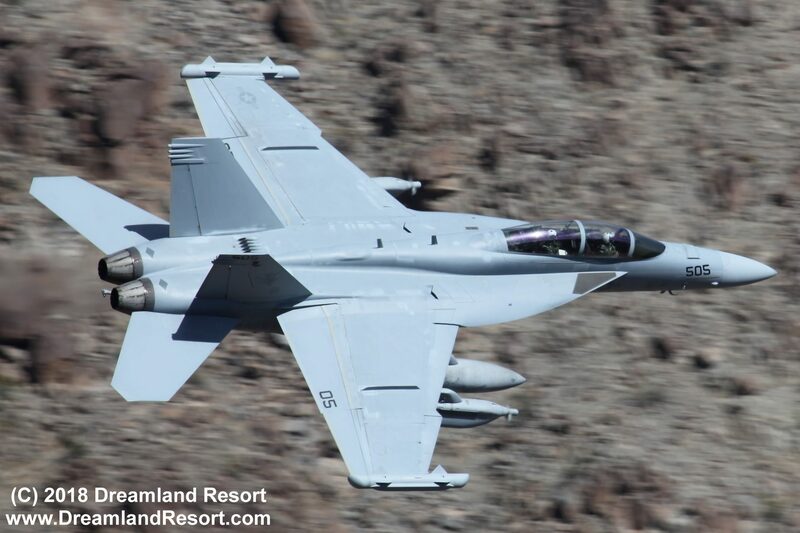 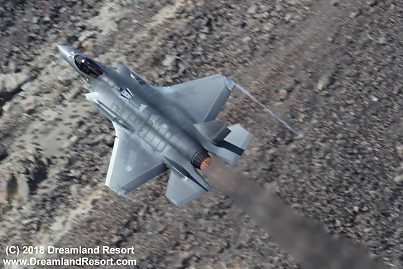 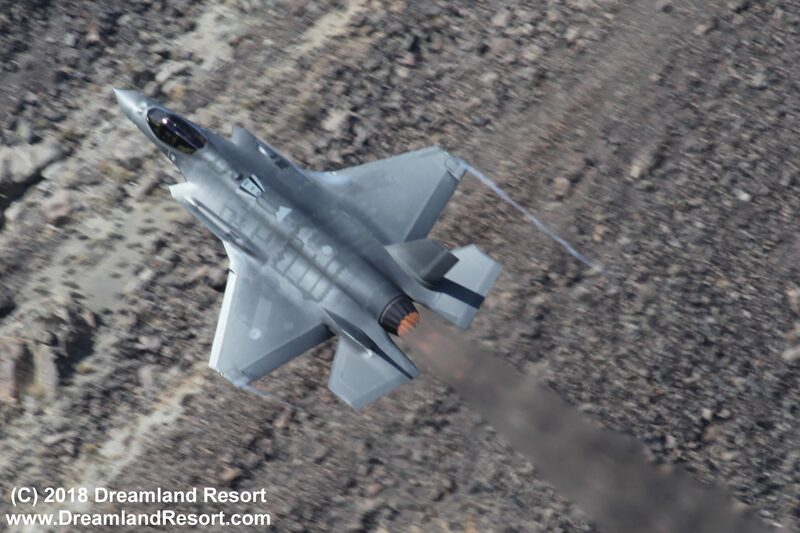 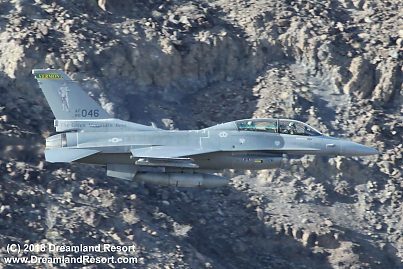 Photos taken in Rainbow Canyon in Death Valley, aka "Star Wars Canyon" during Red Flag 18-2. 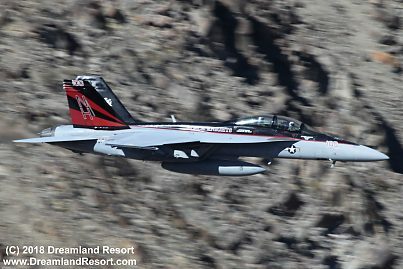 All of these view spots are a very short, easy walk from the road. There are small pull-outs along the highway near #1 and 3, but they fill up on busy days. 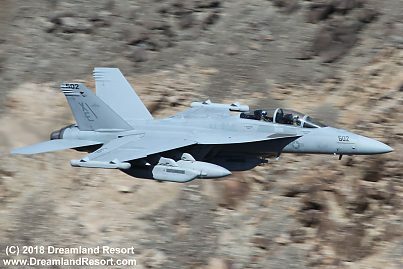 #2 is a short easy drive on a dirt road. 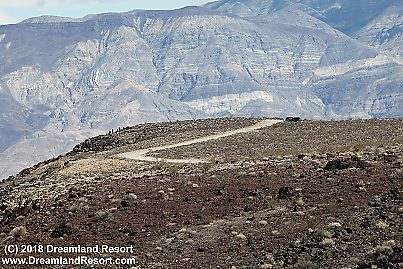 Any car can make it but watch out for the steep drop when getting onto the dirt road at the paved overlook. 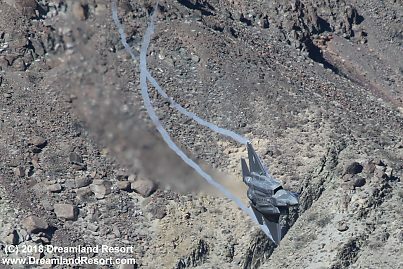 Take a wide turn to avoid ground contact if you don't have high clearance. 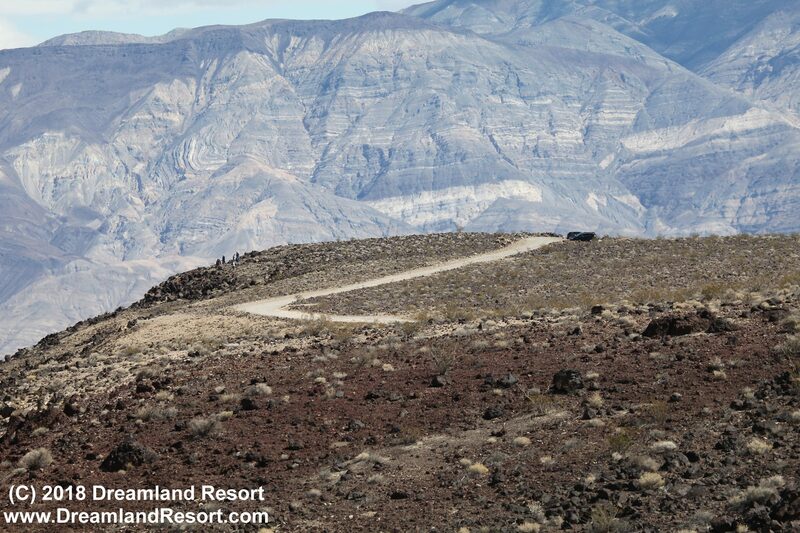 The last photo below shows #2 seen from the paved "Father Crowley Overlook". 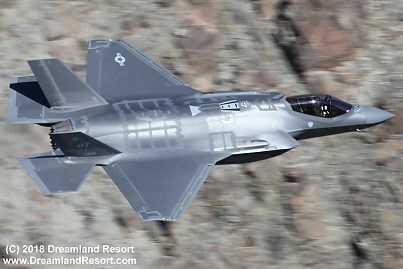 Tune your scanner to 315.90 MHz. Aircraft announce they are entering Star Wars Canyon, usually heading west to east. 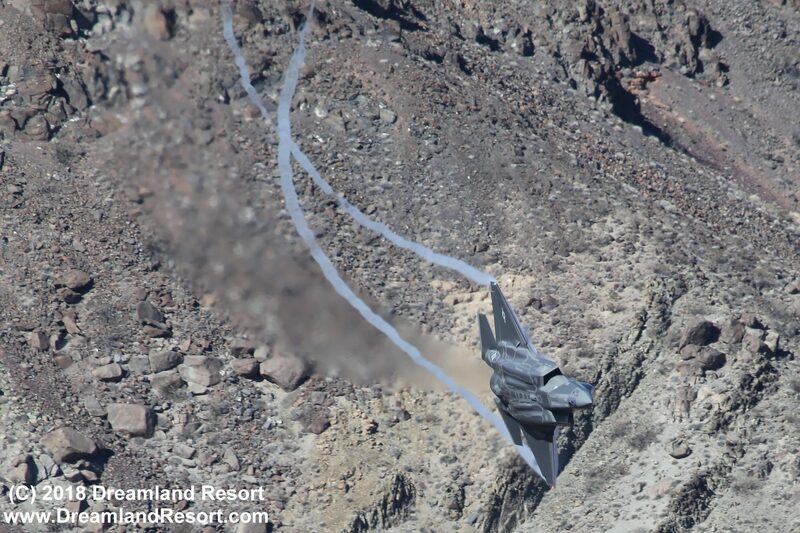 This is also referred to as the "Jedi Transition", a shortcut between points Charlie and Juliet of a larger pattern. 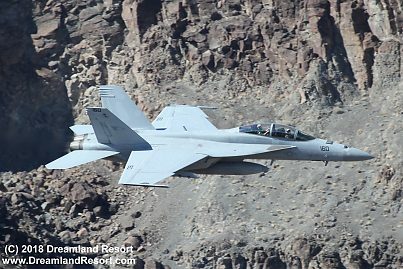 There is a mountain range to the west blocking line of sight of the approaching aircraft so you don't always hear the radio call. 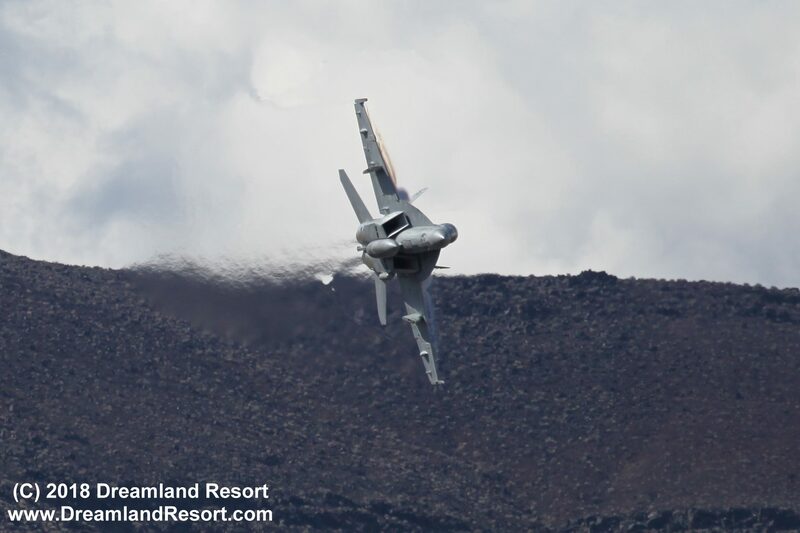 Listen for a sudden increase in engine noise from the west. 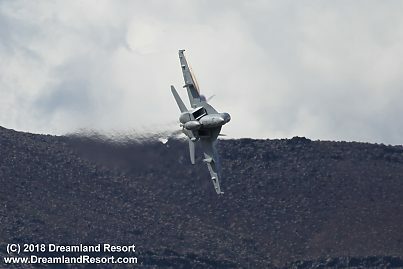 It seems aircraft light the burners or accelerate when entering the transition near point Charlie. This article has a good map that shows the transition.